Working on a commissioned painting is an enjoyable colaborative process. I will meet with you on location or by phone/email to discuss the scope of the commission. We will create a color palette by choosing colors from the interior space, and select other personal favorite colors to incorporate into the painting for added interest. I ask you to review my work and share which paintings and areas of paintings you are most drawn to. In addition, I need to understand which paintings and techniques you are not fond of. When the painting is finished I either deliver it to you for review or email photos for review. If there is anything about the piece you are not satisfied with I will continue to work on it for final approval. I belive owning a piece of original artwork should be something that is enjoyed for many years to come. My goal is to have 100% satisfaction from my clients. I require a 30% deposit to begin the commission and full payment upon delivery. My canvases are custom made by French Canvas for superior quality in materials and craftsmanship. 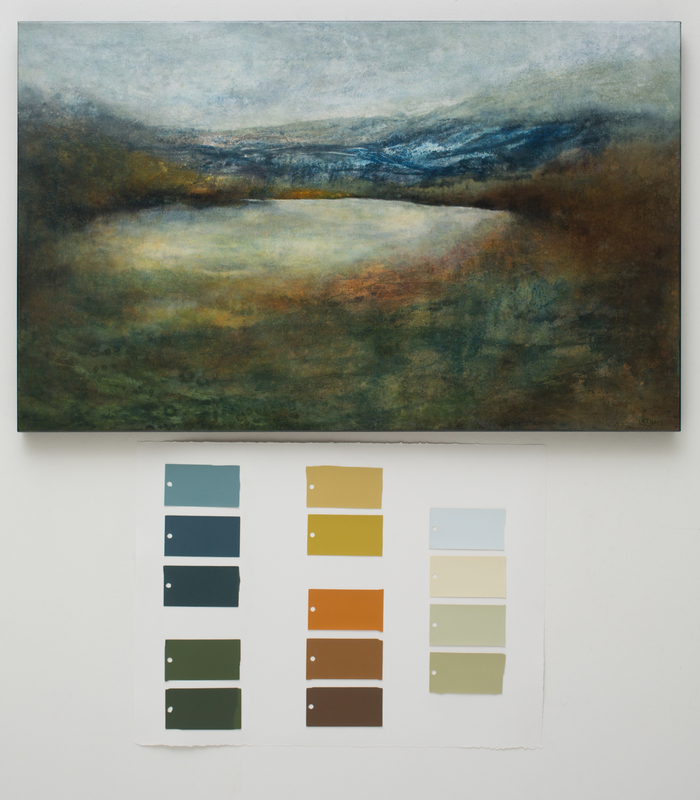 Below is an example of a completed commissioned painting and the color swatches I used for reference in the process.